Weavers of fine quality worsted cloth. 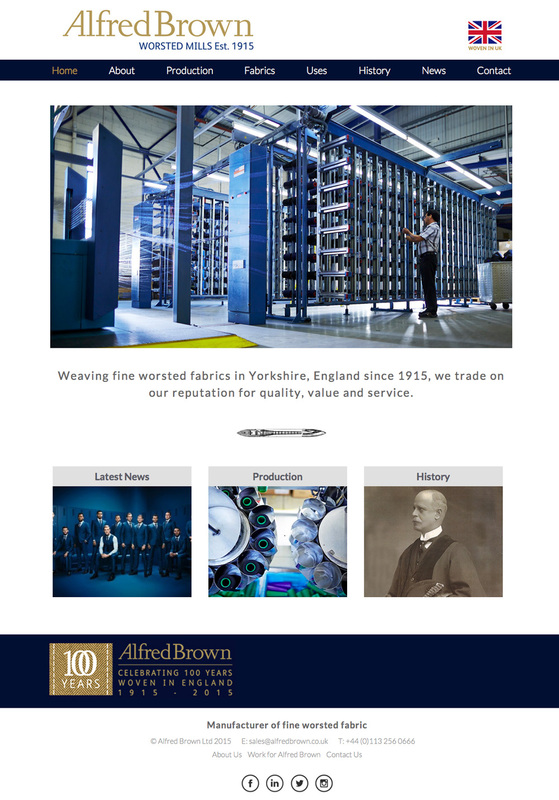 One of the most successful remaining mills in Yorkshire and still owned by the original family, it has survived the hard years and continues to successfully produce fine worsted cloth for the high-end of men’s suiting and tailoring. Understated in style, the site lets the quality speak for itself.